First World War recruitment poster; 'War Loan. Back the empire with your savings. Invest now. Apply for details at nearest post office'; published by the Parliamentary War Savings Committee, London; poster no.21. 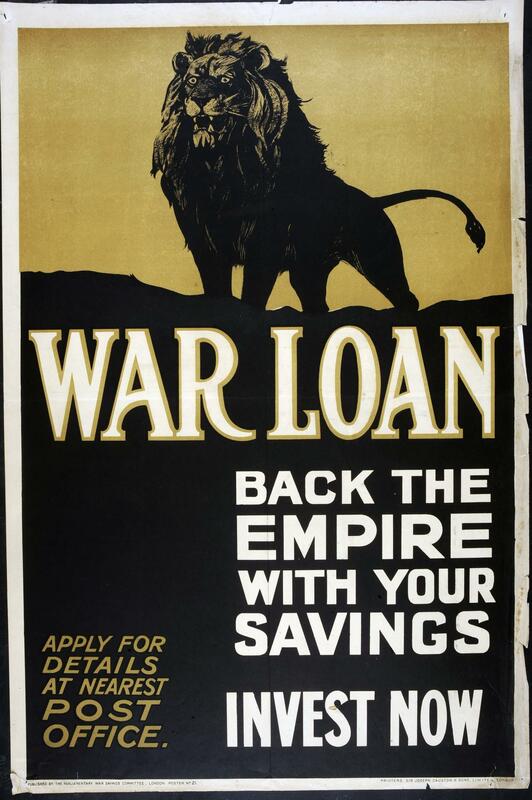 Poster broadly and un-specifically advocating 'investment' in the wartime economy through loaning money to the government. Image of the Britannic lion, strident and roaring.